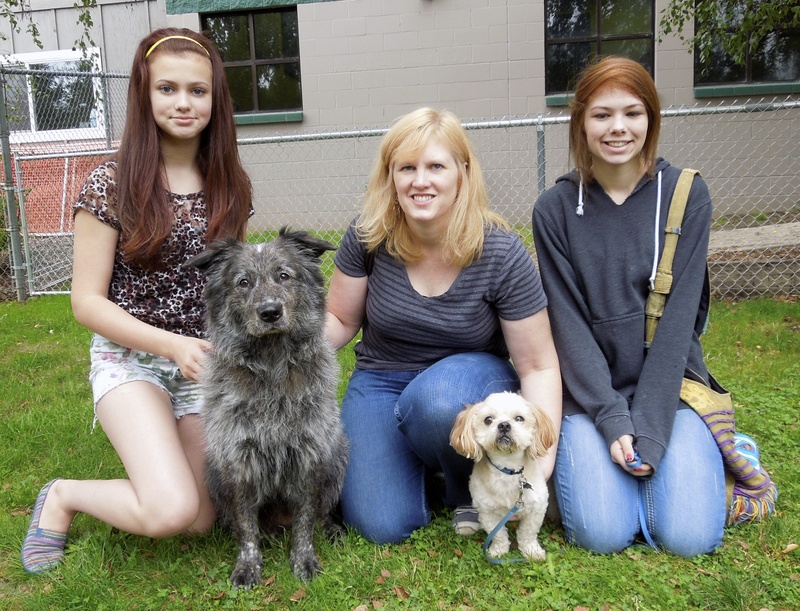 Last Saturday was the first annual Willamette Valley Hospice Walk-n-Wag. This fundraiser supported the Pet Peace of Mind program, helping hospice patients and their pets stay together through the end-of-life journey. Willamette Humane Society had an informational booth at the event and two of us dog-walkers brought shelter dogs to participate in the event. I took Khaki, an eleven-year-old Lab, and we had a wonderful time walking the trail at Minto Brown Island Park. She loved every second of it and there was a great turnout of people and their dogs. 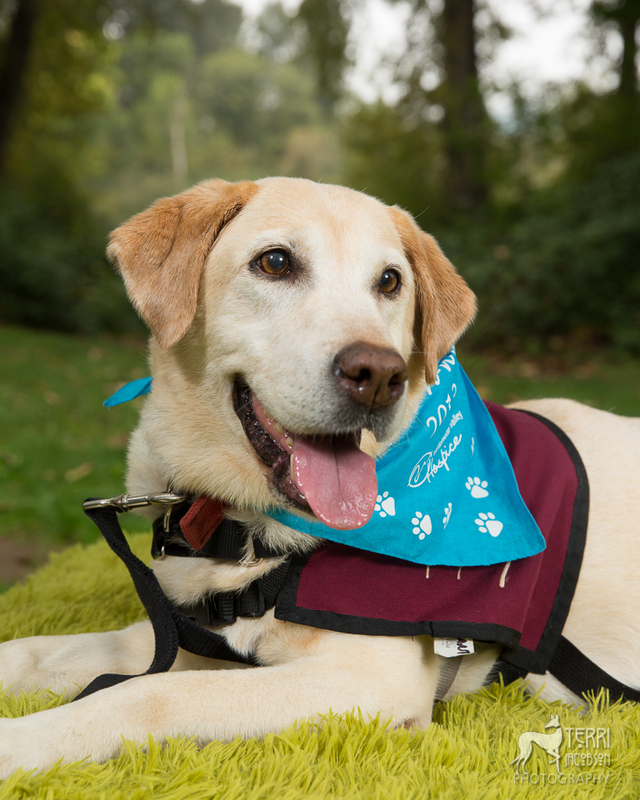 Khaki even got to pose for a professional photographer (Teri Jocobson). I took her back to WHS at noon. 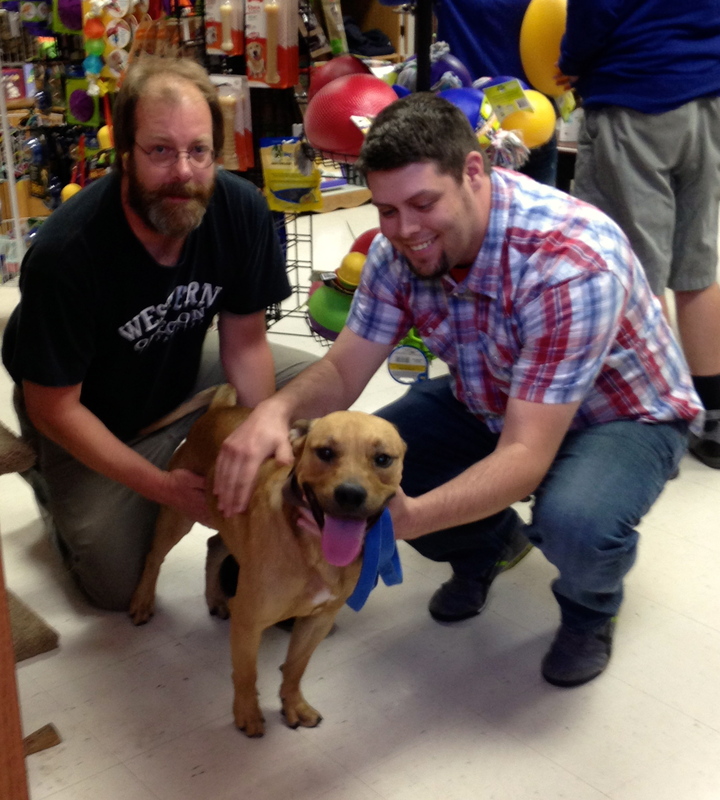 Then…yep, you see where this is going…she was ADOPTED! I fell in love with this sweet girl today and am thrilled that she now has a new home. 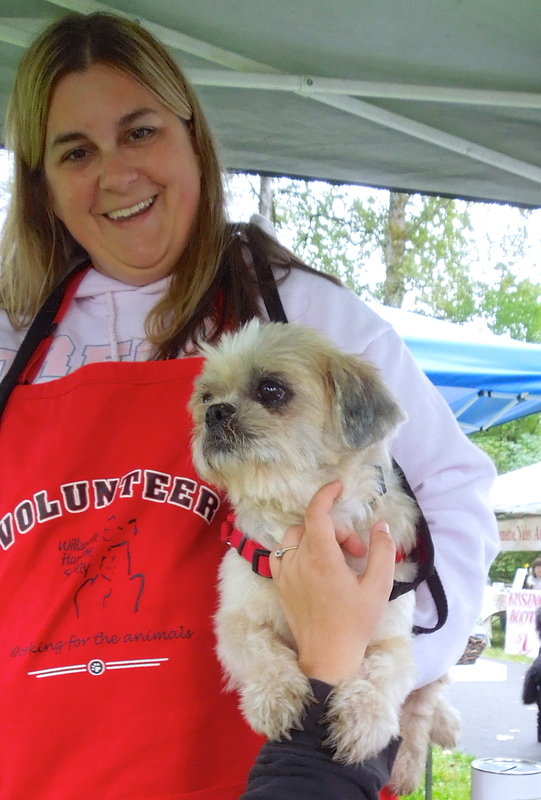 Bluto, a six-year-old Lhasa Apso mix, also came to the event and had his picture taken by Teri, also. 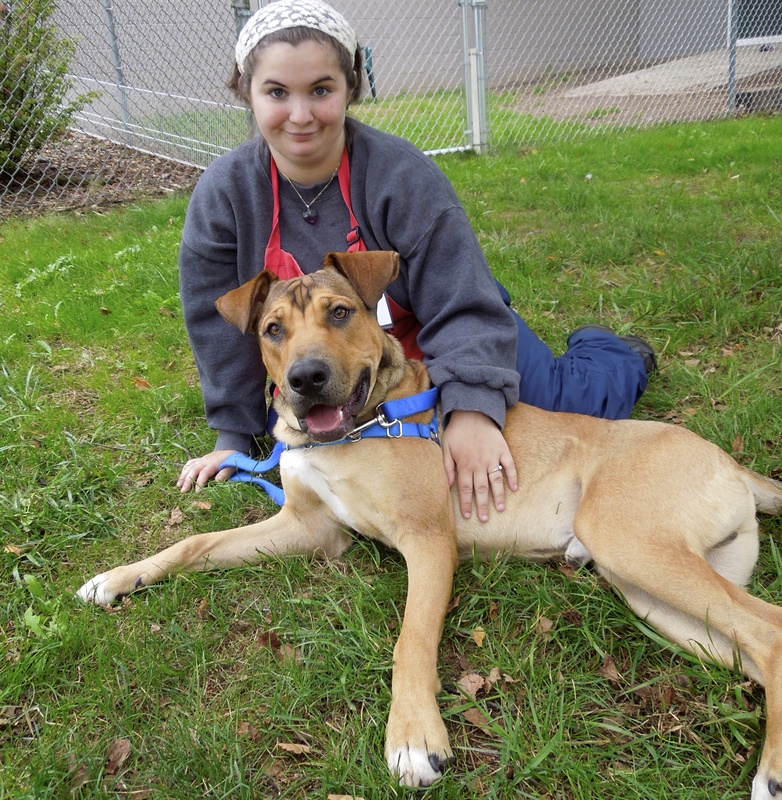 Bluto has a hold on him, so I’m hoping he’ll soon be going home. 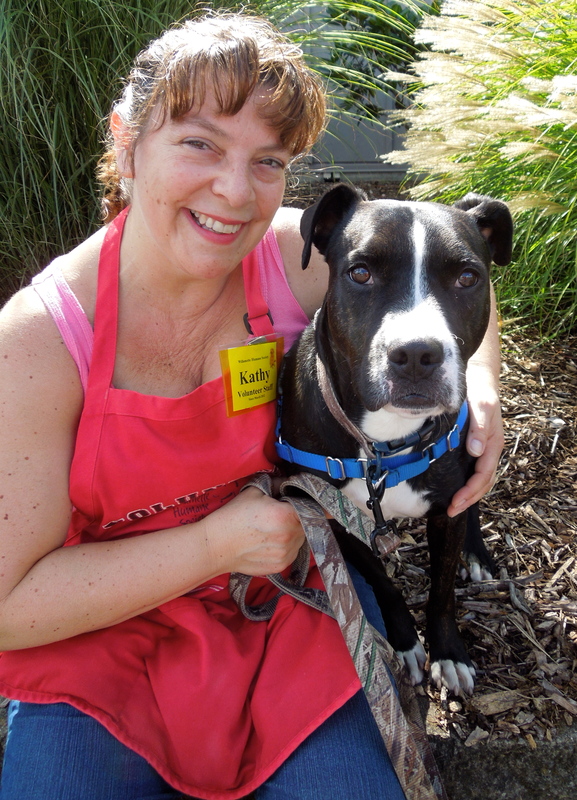 Bluto hung out with volunteer Kaliska at the WHS booth. He is a true lap dog as you can see below. He fell asleep in Sarah’s arms. There were some great adoptions the past week. 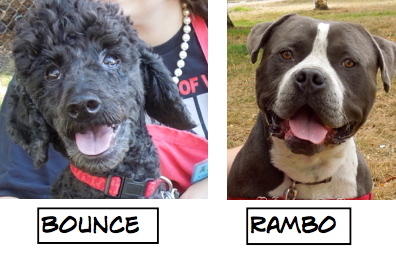 Here are the blog dogs who went to their new homes. 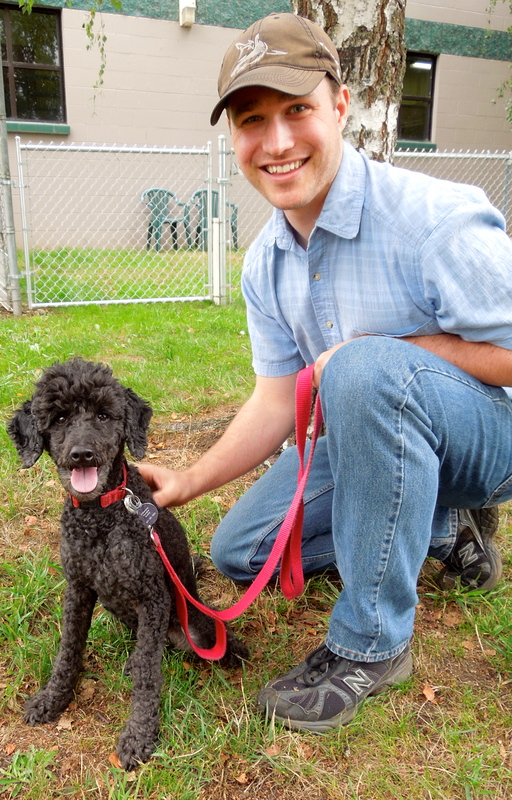 I was especially excited about long-termer Jax finally finding his person. A staff member sent me this picture taken just before they headed home. 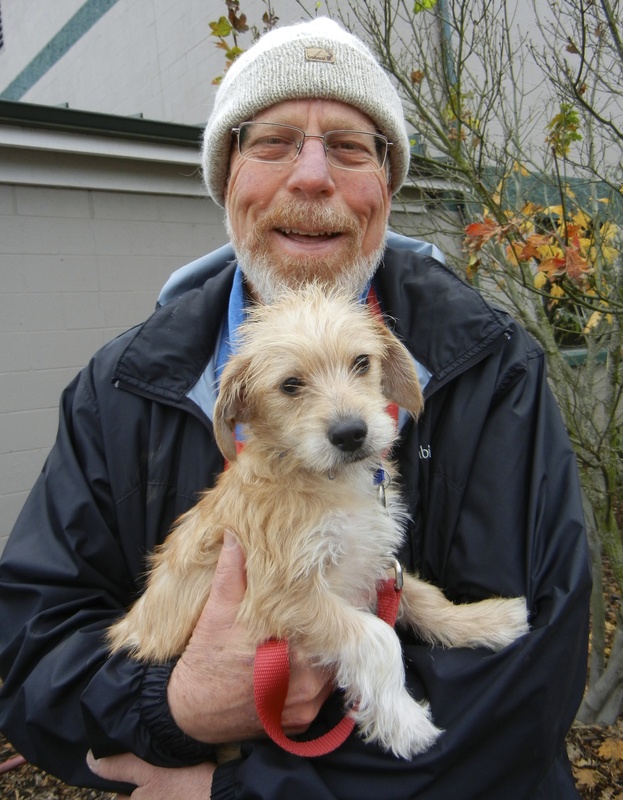 That’s volunteer Bill on the left and Jax’s new owner on the right. 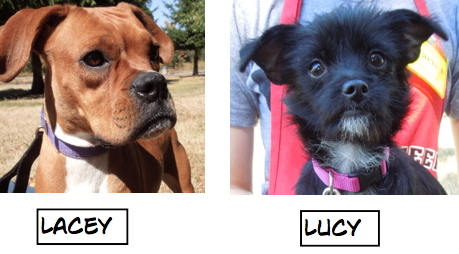 While I was taking pictures of new dogs on Sunday, I was able to snap two adoption photos. First was little Bounce with his person. Play group was the usual fun and frolic. I overheard some interesting exchanges. Justice, a two-year-old Pit Bull Terrier, seems to think of Leroy, a six-year-old Pit Bull Terrier, as an older brother and kept trying to engage him in play. 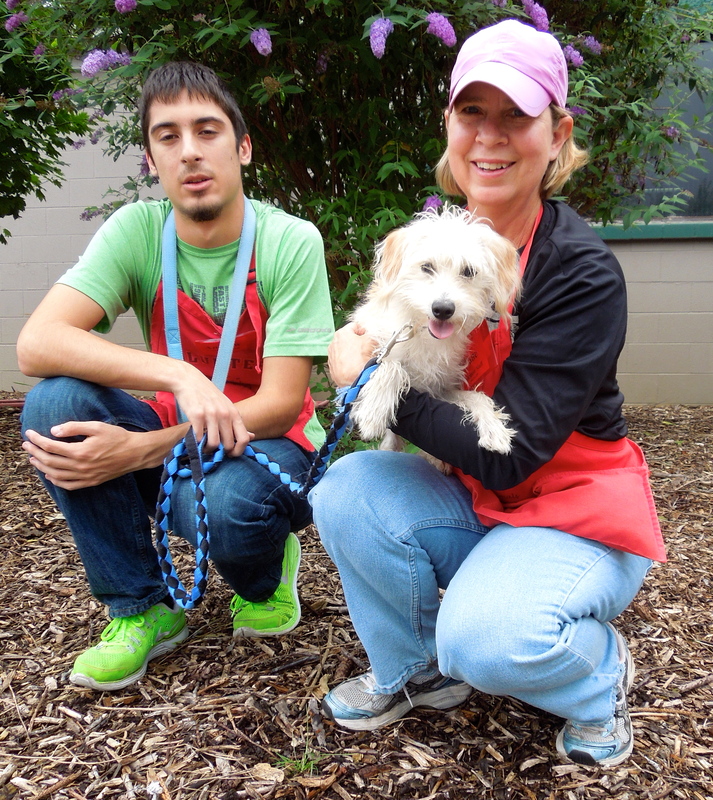 Marlin, a five-year-old Terrier mix, chose to spend most of his time on Kim’s lap rather than play with the other small dogs. 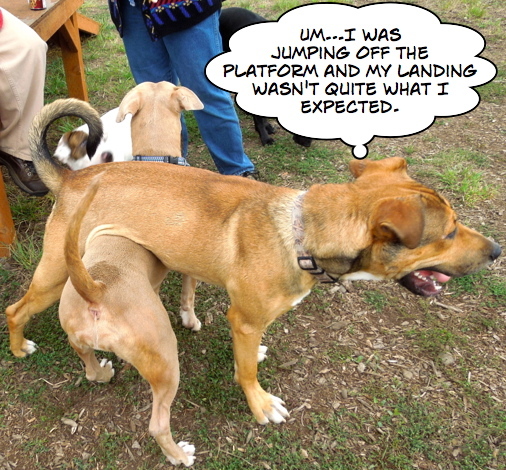 Meanwhile, in the rowdy yard, Ziggy, a one-year-old Rhodesian Ridgeback mix who is still very much a puppy at heart, raced around the yard leaping on and off the platform. 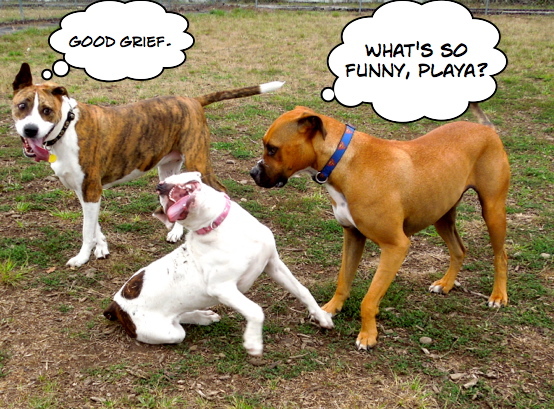 No one ever did figure out what Playa (adopted that afternoon) found so hilarious. 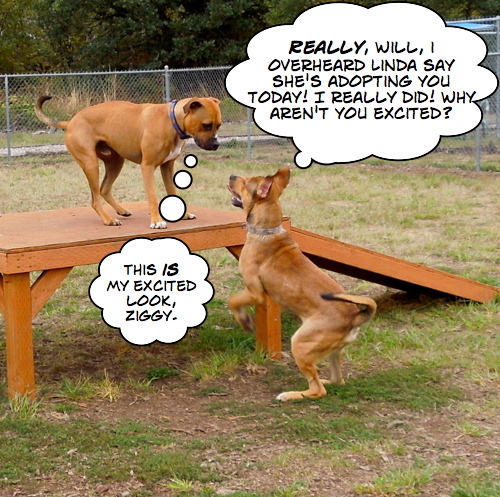 Ziggy was so eager to tell Will what he’d overheard. My name is Stilts. Come visit me and you’ll see why! 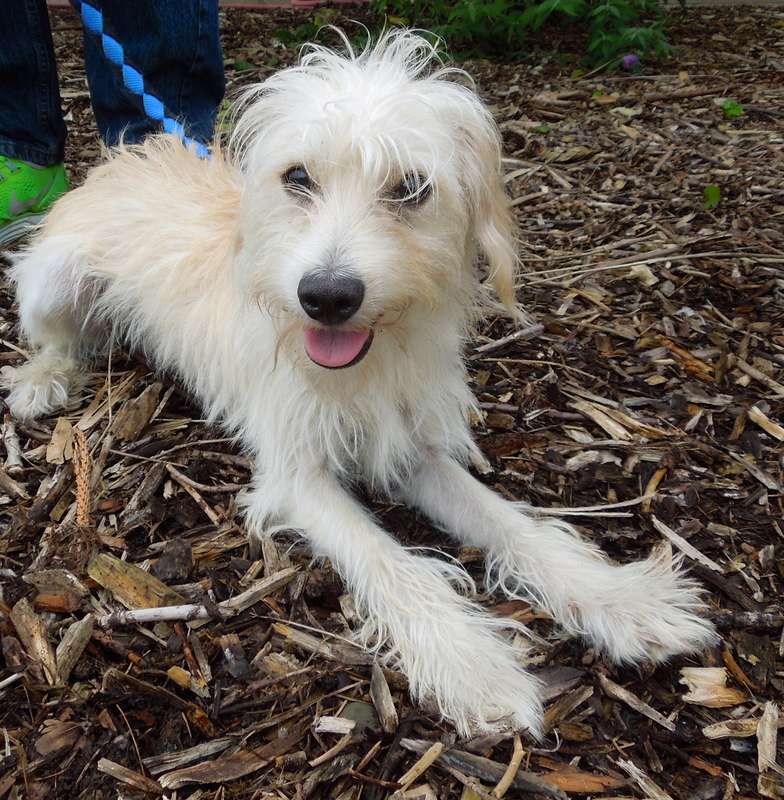 Stilts is an eight-month-old Terrier puppy with extremely long legs! He is such a playful, fun little guy but will need the usual puppy training. His adoption package includes the puppy classes he and his new family will need to help him grow into a great family dog. Here he is on Sunday with Diane and Andrew. 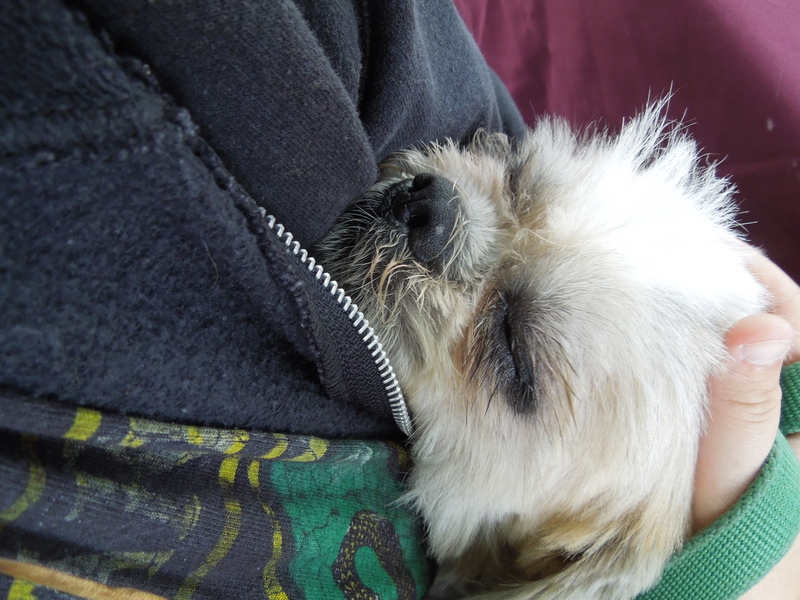 He has a little cold at the moment, so is in the ISO kennels, but he’s still adoptable and will be well soon. I’m young, eager, and a bundle of energy! Want to have adventures with me? I fell in love with Ziggy almost as soon as I met him. 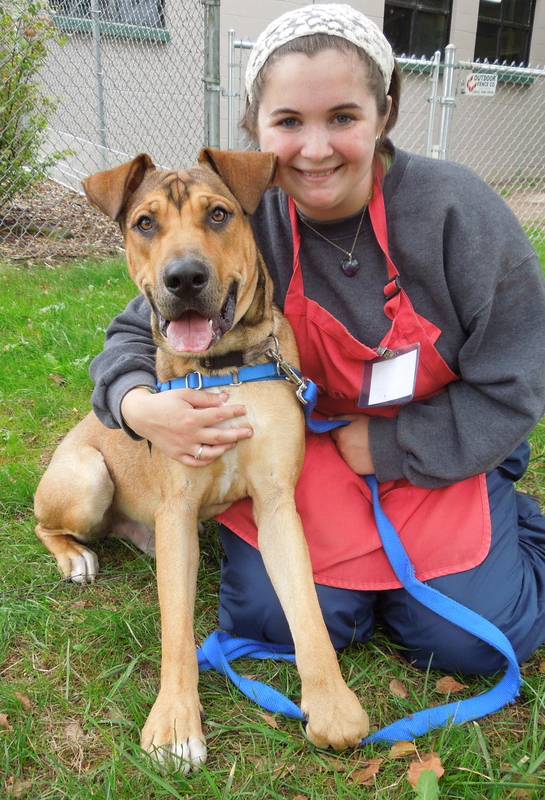 He’s a one-year-old Rhodesian Ridgeback mix puppy with the cutest of faces. He’s a very happy-go-lucky dog who ran non-stop in play group with every dog who would romp with him. 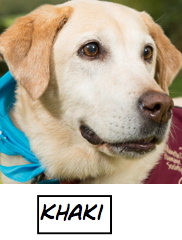 He loves people and other dogs but in his youthful enthusiasm, he can be a bit overwhelming for kids. 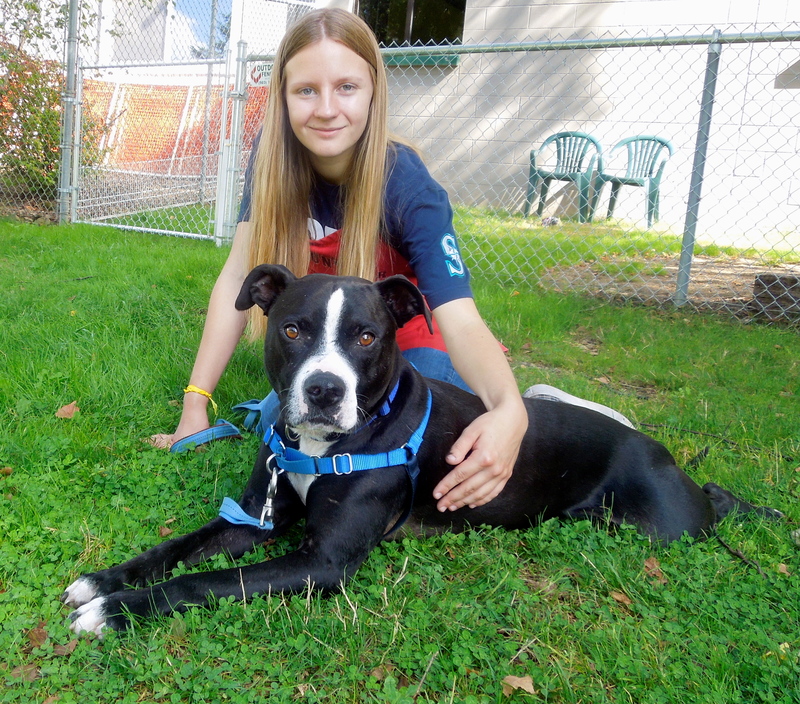 To help him learn impulse control, his adoption package includes the class “Check In and Chill Out.” Here he is with Sarah on Sunday. What would YOU name this dog? 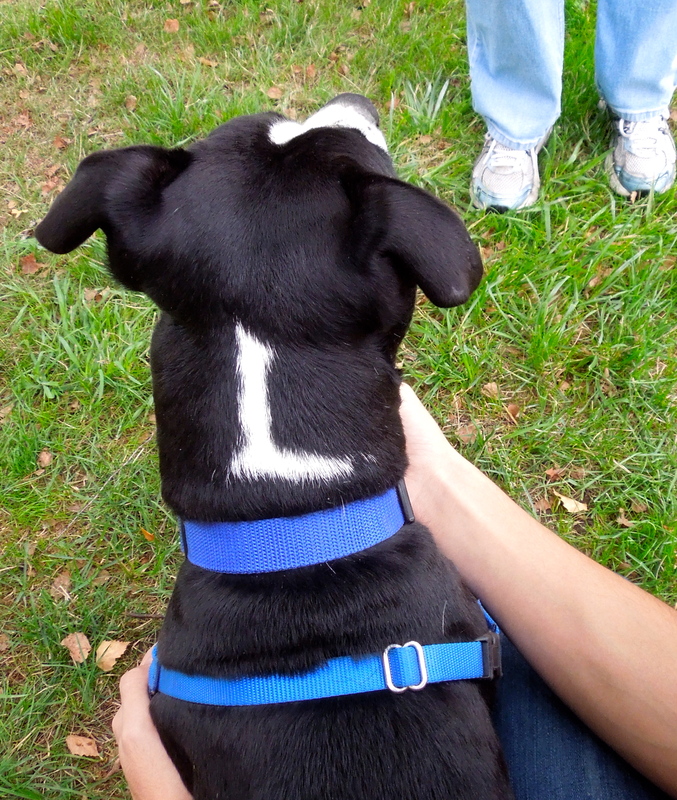 The “L” is for Leroy, a six-year-old Pit Bull Terrier mix who is a very mellow, gentle fellow. He had fun in play group, but was not as rowdy as Jazzy. And when Emelynn took him out today, he thoroughly enjoyed hanging out with her in the grass. 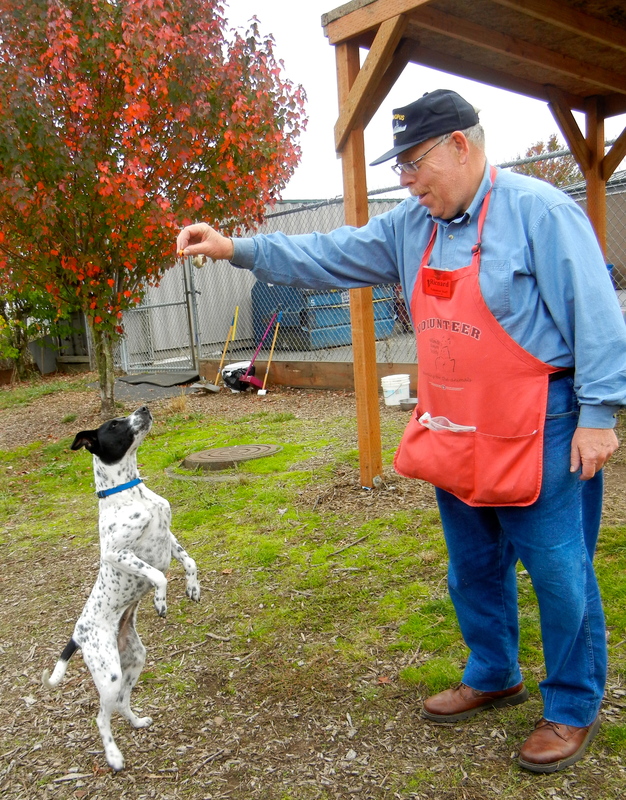 He takes treats very politely, is affectionate (likes to give licks), and walks well on leash. He will make a wonderful family dog. My name is Gorgeous and I am! Gorgeous is still waiting for her forever family. 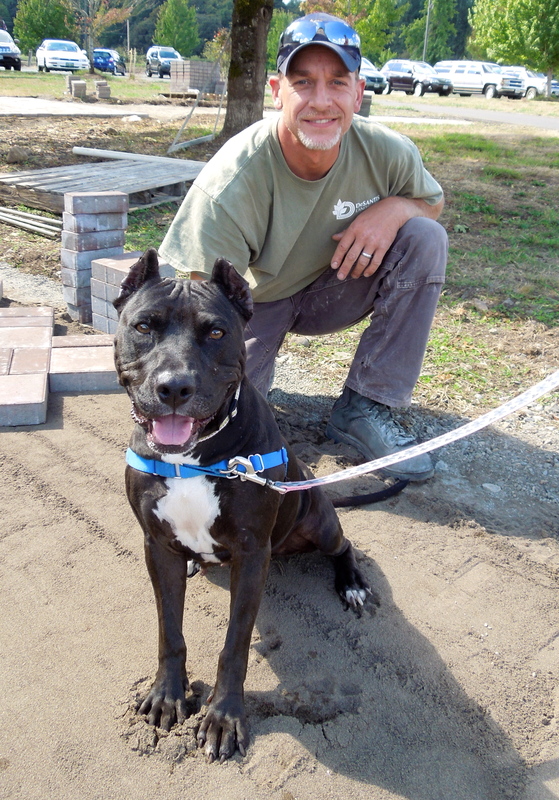 She is a three-year-old Pit Bull Terrier who is becoming a long-termer. 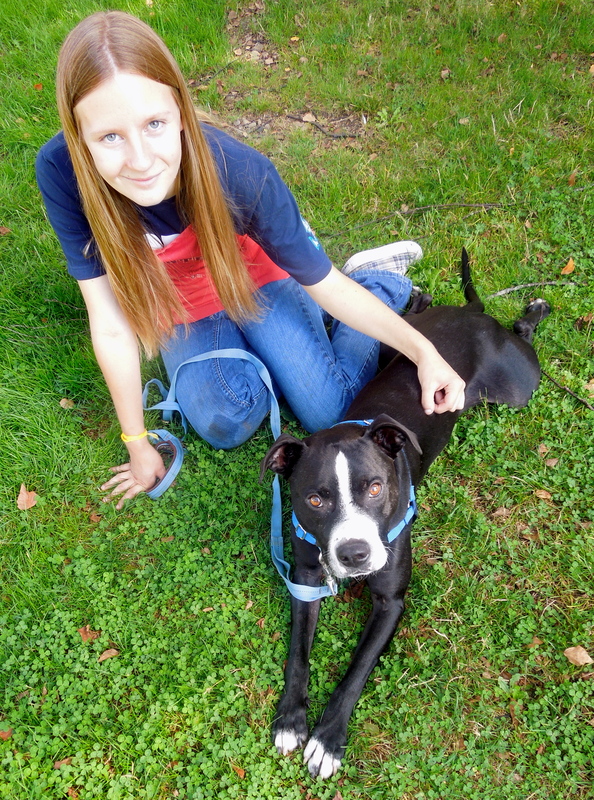 Volunteer Jolene spent time with her today working on Gorgeous’ leash-walking skills with her. Gorgeous may be a little rough around the edges, but she is so worth the effort to polish her skills. 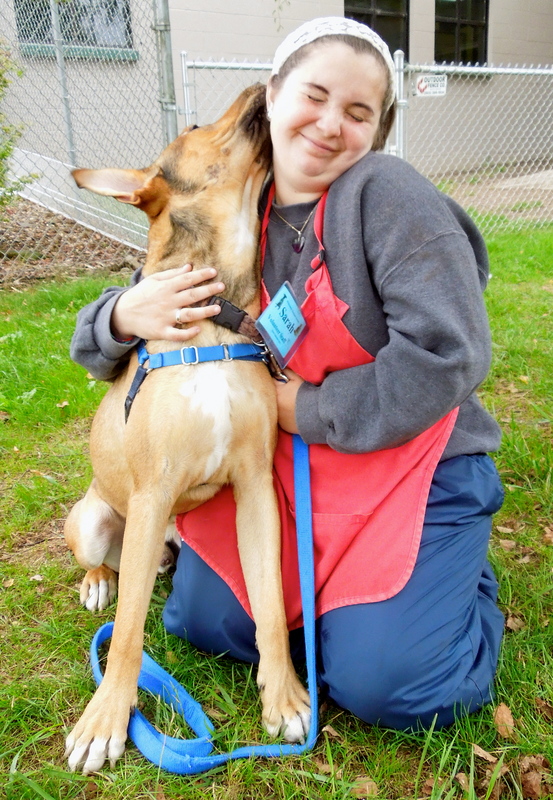 She has become a favorite of both staff and volunteers. She is hoping for a home of her own very soon. I am looking for a quiet home. Maybe yours? 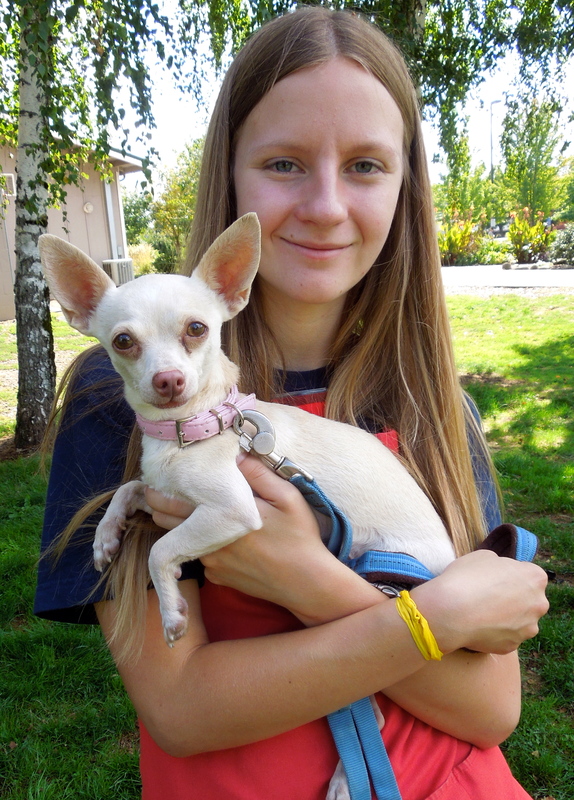 JoJo is a three-year-old Chihuahua mix who is quite shy and would do best in a calm adult home or one with older kids. She loved spending time with Emelynn and took my treats very gently. She likes to be held and would enjoy becoming a lap dog for her person. 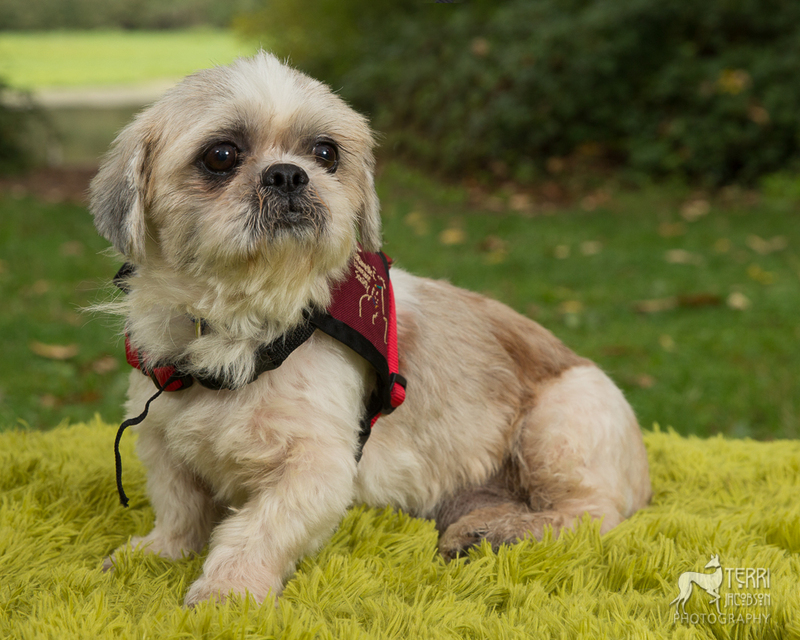 For the right family, JoJo will be the perfect little companion. I sometimes look worried, but I’m really not. The first time I met sweet Emma was on Sunday and, try as I might, I couldn’t get her to smile. She had a very worried look on her face. But today after playing in the big yard with Angie, she was relaxed and ready to pose for my camera. 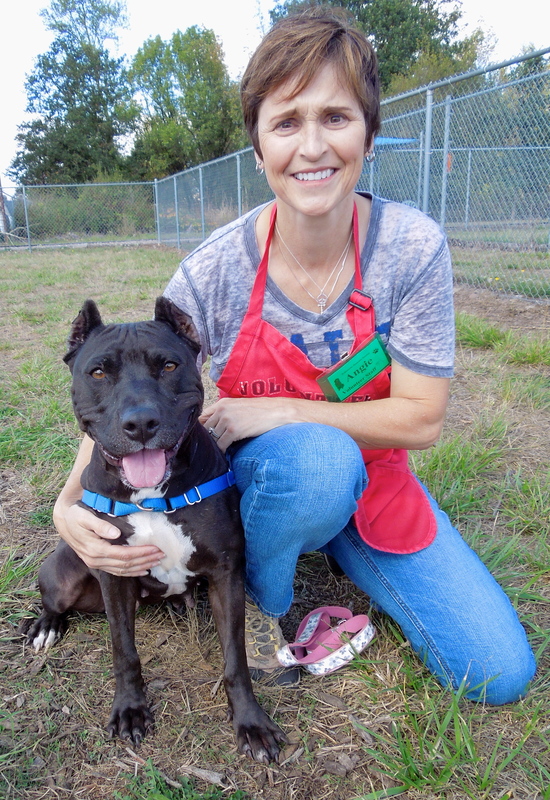 Emma is a three-year-old American Staffordshire Terrier mix. She is such a gentle soul who took my treats carefully and politely. She walks well on leash and is affectionate. I hope potential adopters will look past her furrowed brow and see the heart inside this girl. As Angie, Emma, and I walked back to the building, we stopped to say hi to the workmen laying the memorial garden bricks. 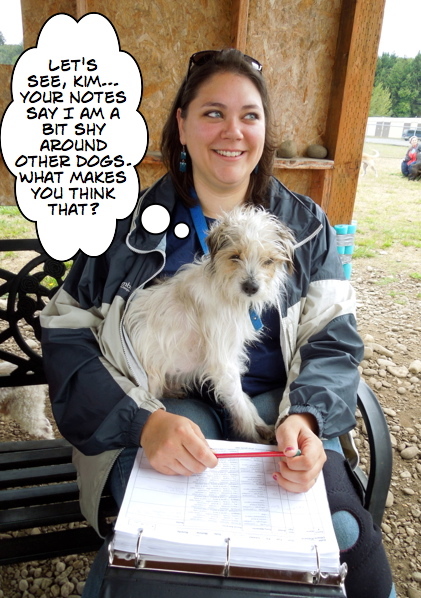 I’m a little shy, but I’ll warm up to a new family! 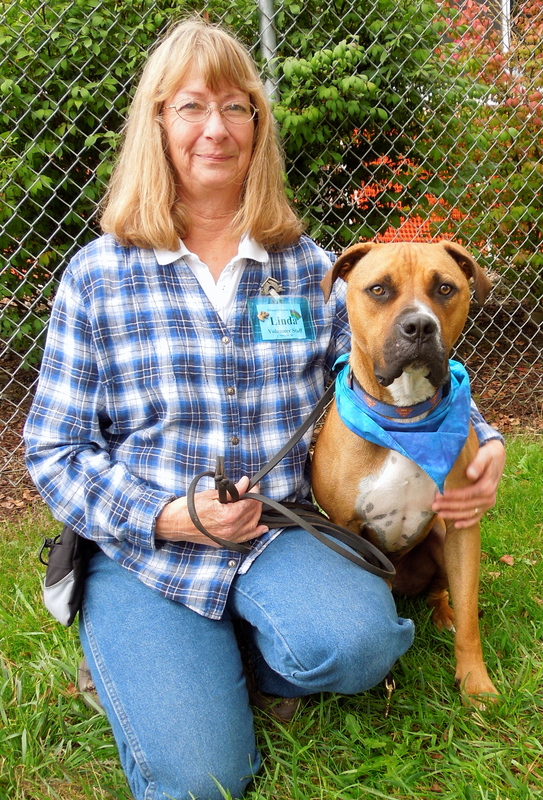 One of the last dogs I saw today was Justice with Kathy. Justice is quite shy around people at first meeting, but once he relaxes, he’s a joy to be around. 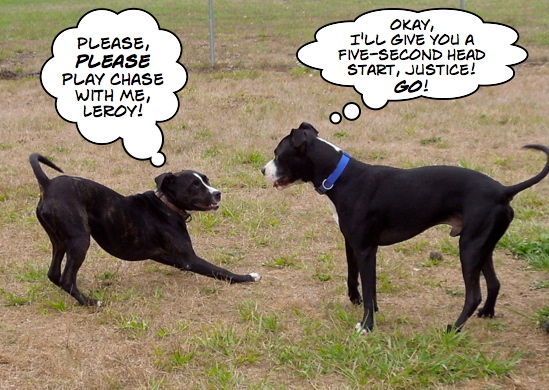 He was very active in play group and happily romped around Leroy trying to get him to play chase. 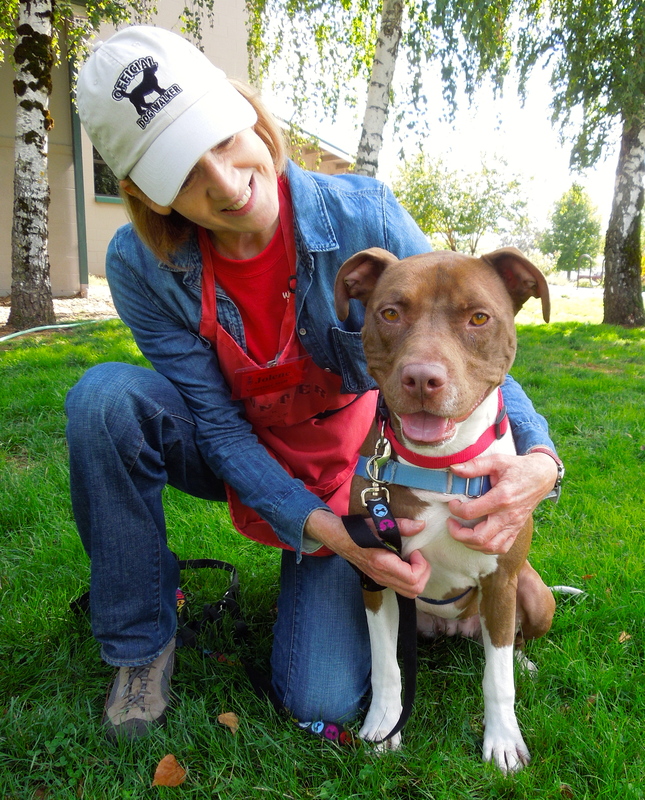 Justice is a two-year-old Pit Bull Terrier mix. 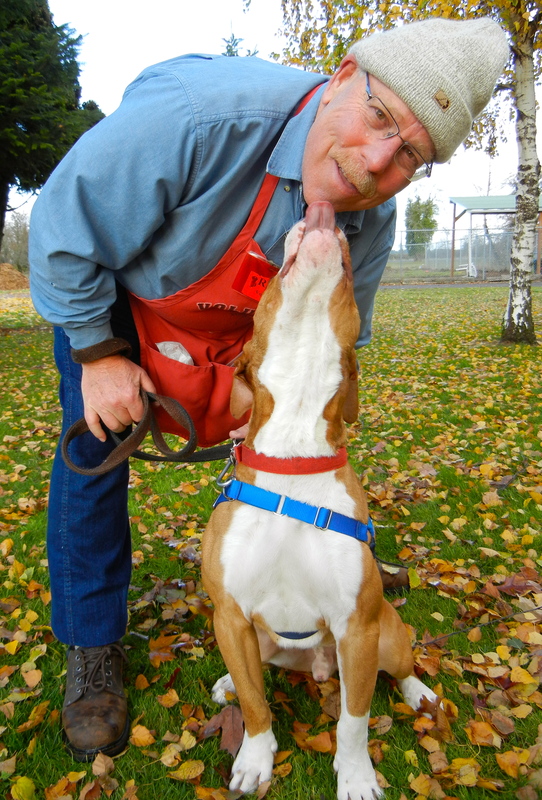 Richard started walking dogs in 2009 on my shift and we quickly became friends. Soon I was taking pictures of him with shelter dogs for my blog posts. 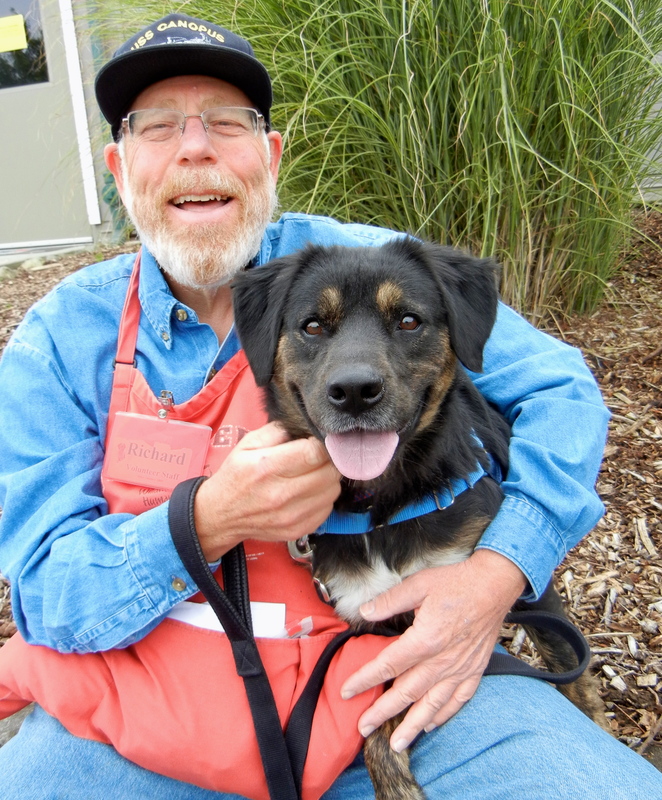 Over the next four years, he put in 850 hours with shelter dogs. Richard’s contagious grin next to any dog always made me smile. 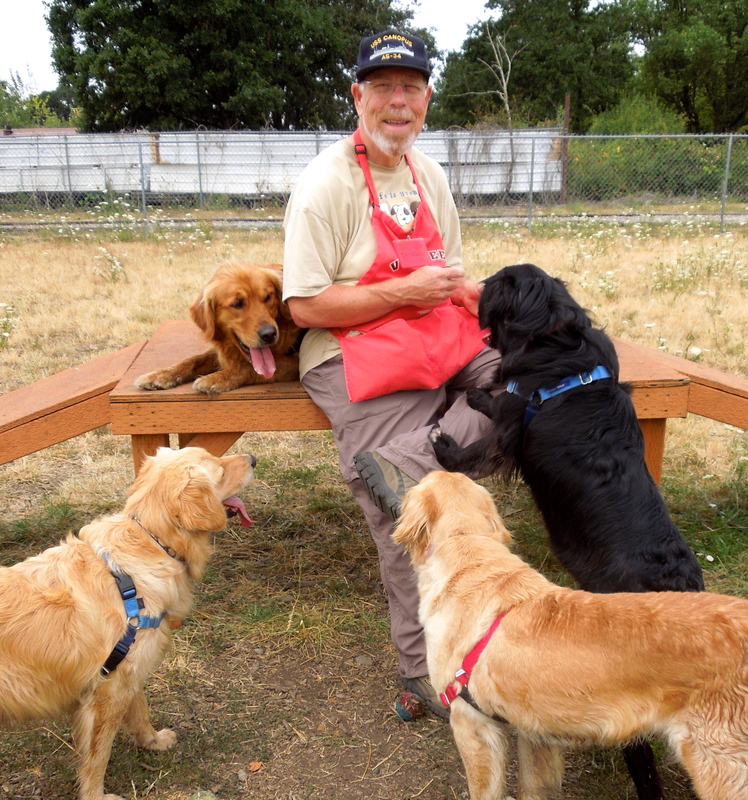 No one who knew Richard ever questioned his love for “his” dogs, especially Golden Retrievers. 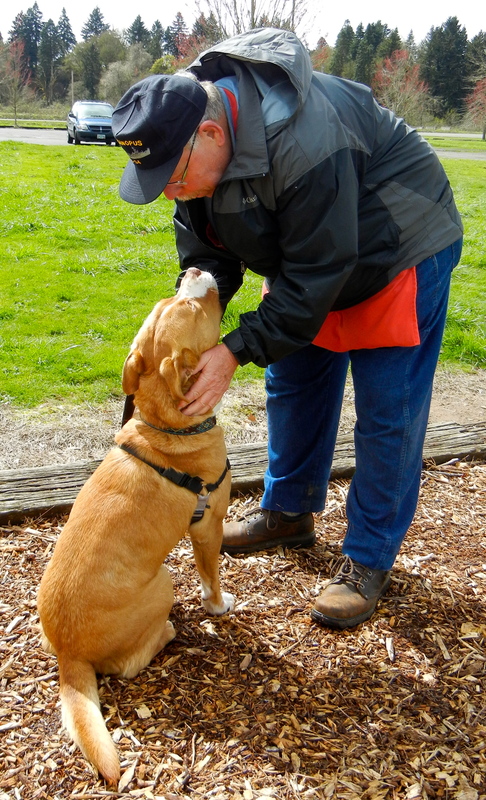 He used to say that since he couldn’t have a dog in his rented home, he got his “dog time” at WHS. More than once he only half-jokingly tried to talk me into adopting a Golden when one came to the shelter, telling me that he would pay for everything and all I had to do was house the dog for him. 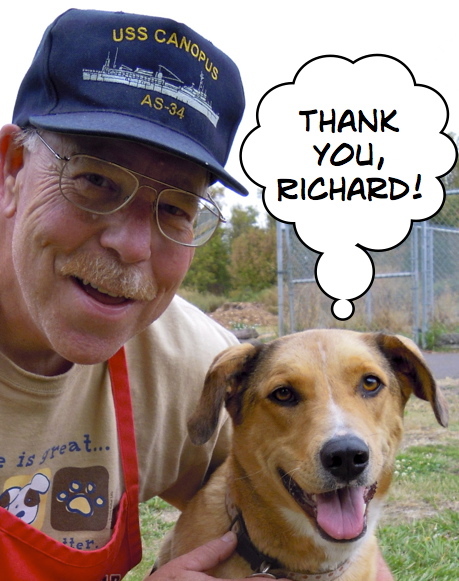 I will miss Richard both as a loyal and dependable dog walker and as a very good friend. I will miss his dedication, his sense of humor, and his smile. Here are a few of my favorite pictures of Richard over the years. God Bless you Richard. You were an important part of our team. We will miss you. Rest in Peace Richard We will miss you. Richard you were such a valuable member of our WHS family you seriously had the best smile bless you. As usual, your blog is super! 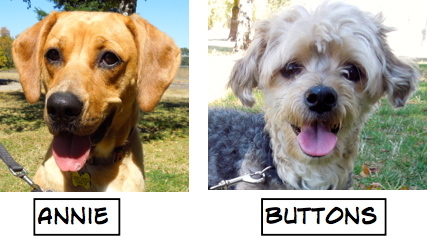 Thank you for the great photos and thoughtful descriptions, as well as the hilarious captions from play group. The world is a better place because of people like Richard. God bless all of you. It is so nice to see so many people helping such a worthy cause. I wish I could adopt a dog, but with 5 cats it would be a stretch. Great blog as usual, but especially the tribute to volunteer Richard. It is clear from the photos that he loved every minute of the 850 hours he logged. May he rest in God’s peace. 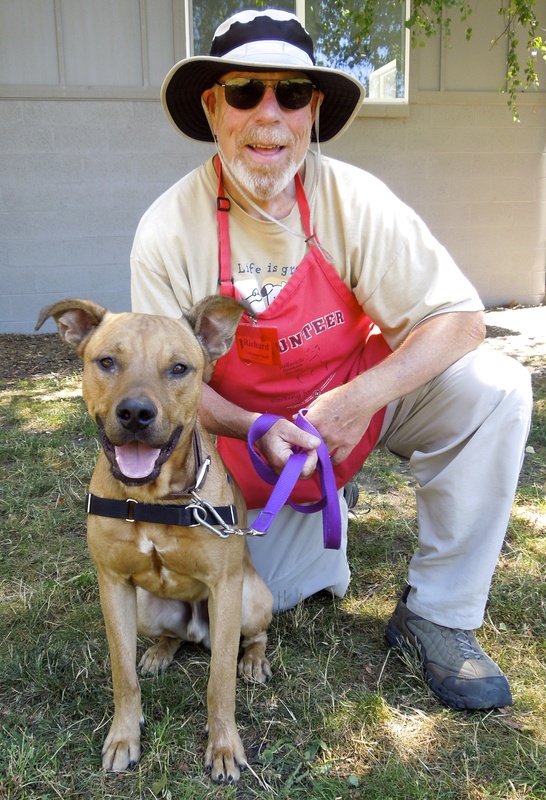 So sad about Richard; he was a valuable volunteer and great with dogs. But such good news about both Will and Jax. 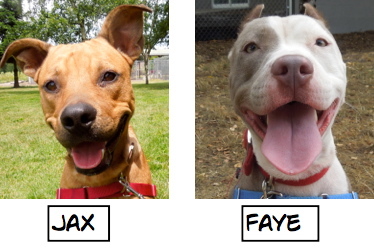 I kept hoping Jax would get adopted soon. I am pretty sure he will be so much better outside of the kennel stress, with just some good training. I loved him once he was out of the kennel (and I just love shepherd mixes). 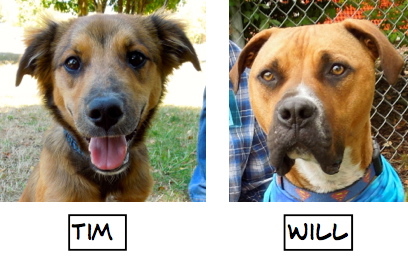 And Will is so lucky to get into Linda’s pack officially.